"We have one million 0-15 year old's in New Zealand, with only 100,000 somehow connected to the church. Nine out of ten kiwi kids have yet to be connected to the wonderful person and hope-filled message of Jesus. And yet our everyday kiwi values come from this faith, and with our declining mental health statistics in mind as just one example, there has never been a time in which hope has been needed by our nation's children and families! 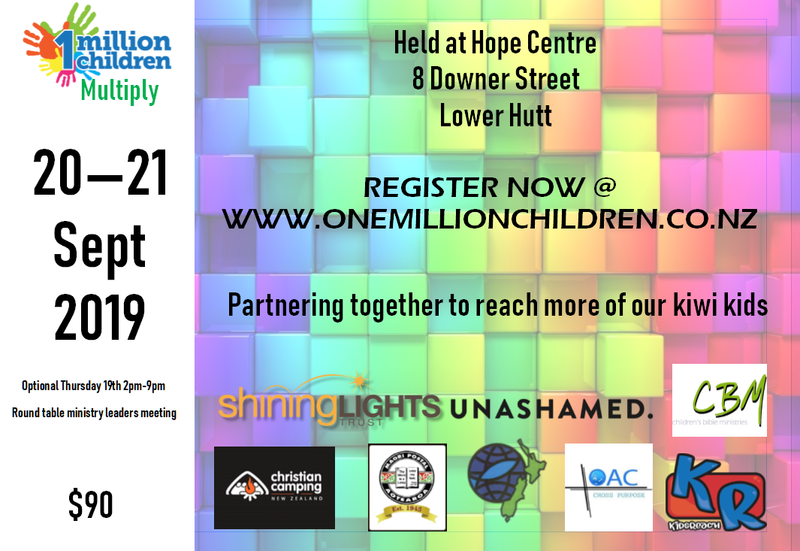 This conference is part of a combined effort to see if kiwi churches could again connect the faith and stories that sit behind our cultural values, Christmas, Easter, and more, with children throughout our nation. If you are involved or interested in children's ministry you will not want to miss this.